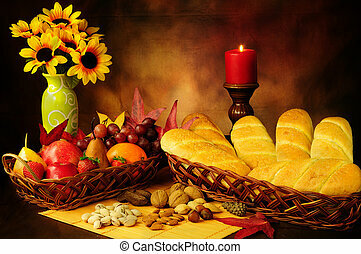 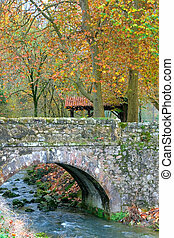 Bridge in autumn. 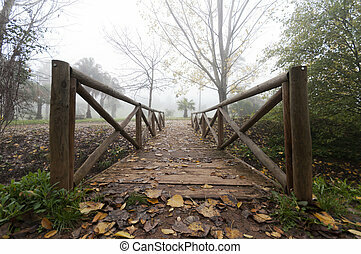 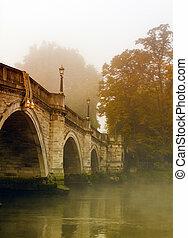 Historic wooden bridge in a park surrounded by autumn colors in a foggy morning. 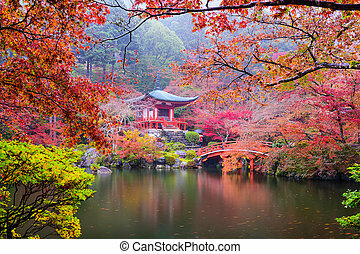 Kyoto, Japan at Daigo-ji Temple in autumn. 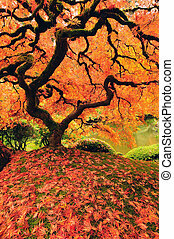 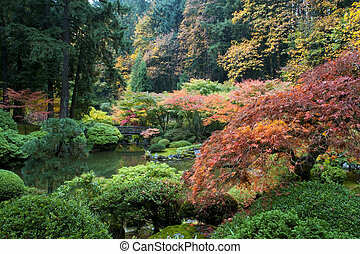 Arboretum,Seattle Japanese Garden at Washington Park. 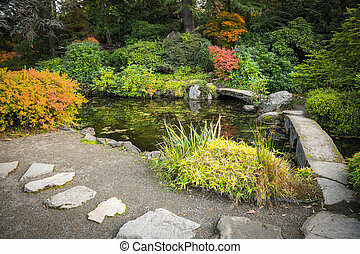 Looking across calm,still pond. 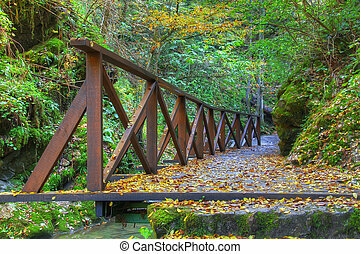 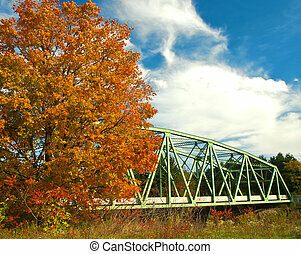 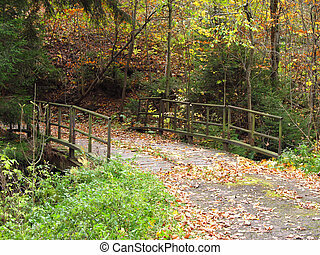 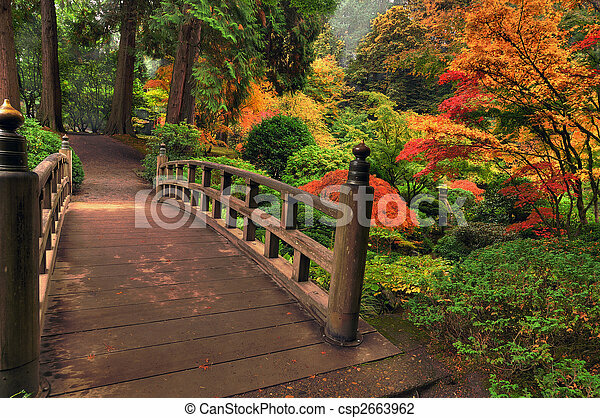 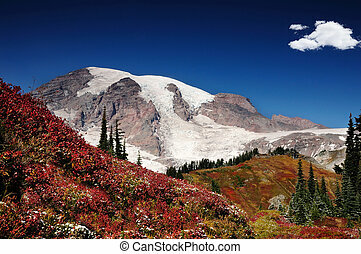 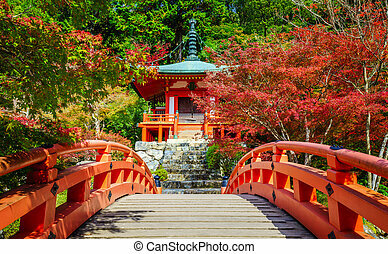 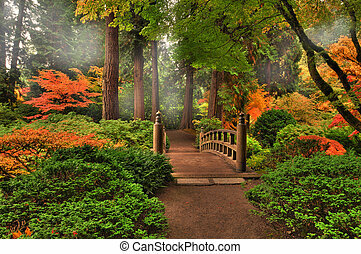 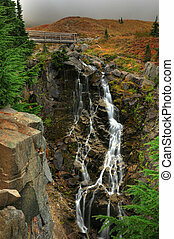 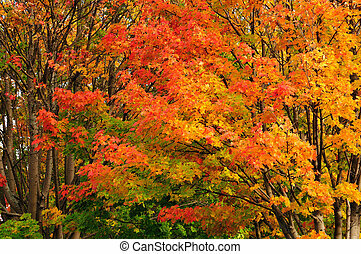 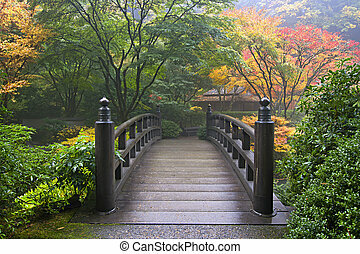 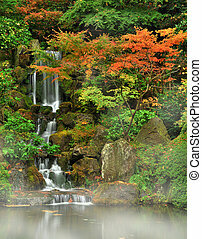 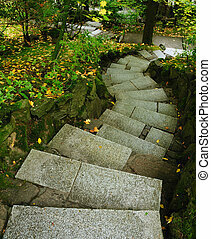 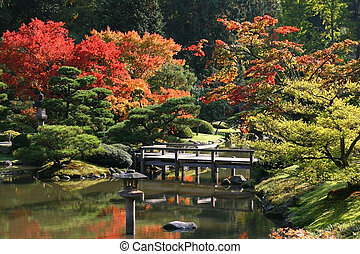 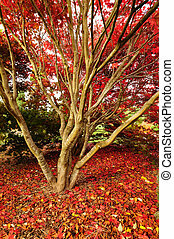 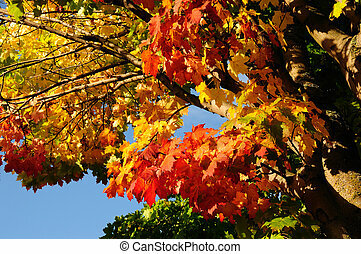 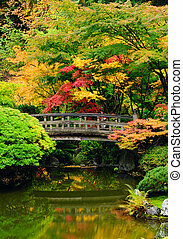 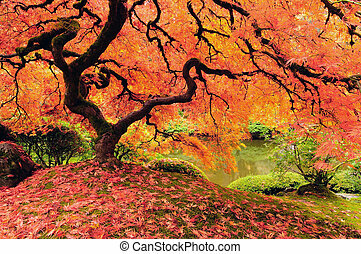 midphoto shows a foot bridge with lots of Japanese Maple Trees showing various colored leaves behind. 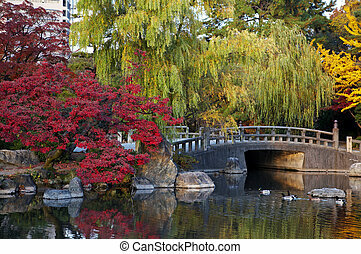 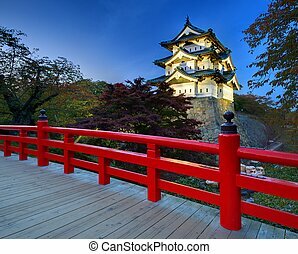 October 27: Hirosaki Castle in Hirosaki, Japan. 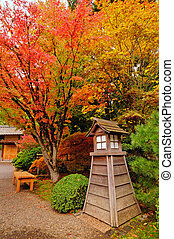 The castle dates from 1611 and was the seat of the Tsugaru Clan. 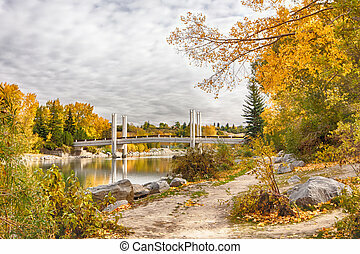 Calgary's Prince's Island bridge in Autumn.